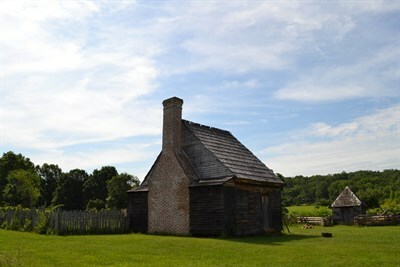 Visitors will experience life in the 1770s. History buffs enjoy visiting the 18th-century tobacco barn, farmhouse, and replica out-kitchen. Families love learning about the heirloom crops and heritage breed animals. The fishing pier, boat dock and nature trails offer a respite for outdoor enthusiasts. Park: Daily, year-round; Exhibit area: Mid-March to Mid-December: Mon-Sun 10am-4pm; Visitor Center: Tues-Sun. Nature Center, Living History Center, Recreation Center - just the Center!!! Nature, hiking, fishing, bird watching, are just a some activities, the seasonal events are worth watching out for and fun to bring the family. great place for the photographer!